One of the best platforms for showcasing the all-natural aesthetic of the wood we've found, here for you is Curly Maple wood. 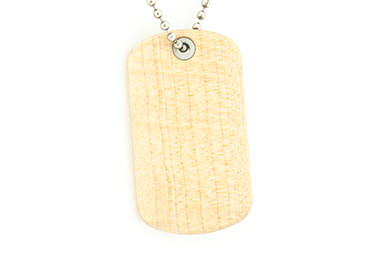 If you're wanting a classic dog tag look, realized in a beautifully understated way, this tag is for you. 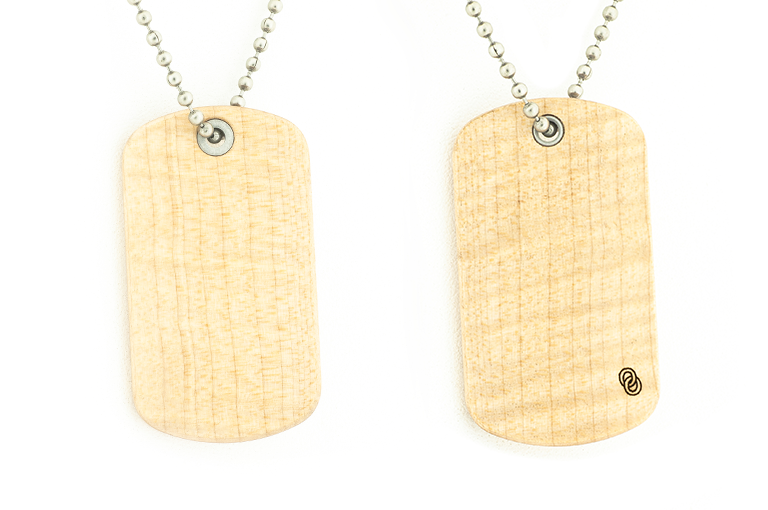 Complete with our small OO logo etched on the back.